When I was a kid I loved Smokey Bear. I had a Smokey Bear pillowcase (which my parents donated to the Smokey Bear museum a few years ago). I had a Smokey Bear bendy rubber toy with a mediocre paint job, probably bought in a tourist trap in Colorado. I also fell for the propaganda Smokey Bear was created to spread. I love animals and nature and wanted them to be protected. I didn't yet know the forests were being "protected" to death by preventing a natural, essential process. A process that when interfered with makes the problem worse and more destructive. It was quite a shock when I learned the truth. 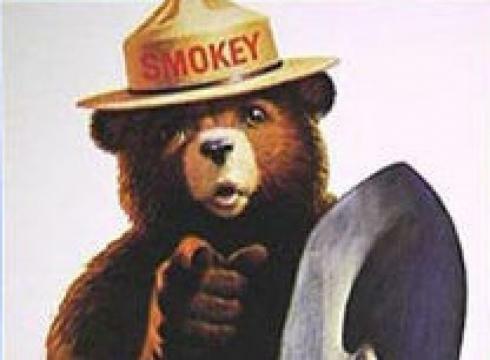 Smokey Bear and his propaganda campaign illustrate the danger of government perfectly. Use a memorable way to promote bad policy. The bad policy then causes damage which makes the original problem worse, which causes people to believe government (and its bad policy) is necessary to protect from the consequences of government policy. It's a snake swallowing itself. But it remains effective.